Seniors who are on the verge of obesity should make sure they try to lose extra weight to avoid potential diseases related to it. Being overweight or obese might lead to heart-related problems among seniors in the golden years. It can be better for aging adults to lead a healthy life by adopting a few effective strategies which can help them to lose weight naturally. 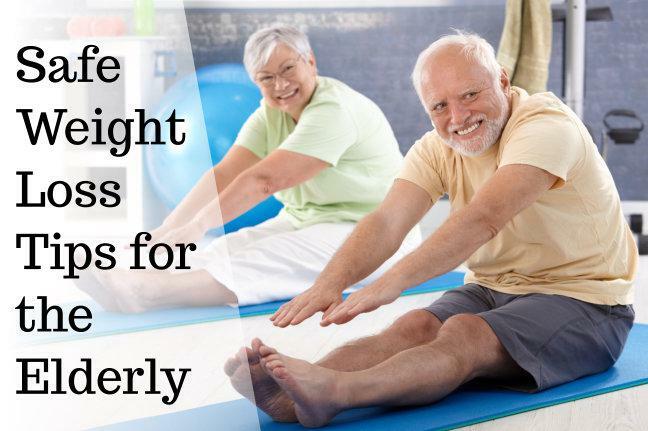 Seniors might need a few weeks or even months to gradually lose weight at an older age. When an elderly person starts exercising, he or she might gain a few extra pounds first because the body isn’t habitual of working out. However, exercising daily is very important when it comes to creating a long-term weight loss plan. Even if seniors are extremely busy with household activities, it is crucial to make time for light exercises such as jogging or swimming. Try to change a few things from the daily routine such as walking to the grocery store rather than taking the car or a bus. Buy a measuring tape to calculate the waist length which can help seniors observe whether they are losing or gaining weight in the long run. Seniors can comfortably exercise while doing household chores which means walking around the house or making more trips on the stairs unless they have limited mobility or a disability. Ask a professional nutritionist about the number of calories seniors need to consume every day. This may help older adults devise and work on an eating regimen best suitable according to their body weight and personal health. There are several online calculators seniors can use to determine the number of calories they have to consume based on their height, gender, and age. Getting in touch with an expert physician can be beneficial in determining appropriate weight loss strategies, especially if seniors are at risk of obesity. A nutritious meal plan might include whole grain foods, fruits, vegetables, and lean proteins which allows seniors to stay healthy and fit at an older age. Apples, dark chocolate, leafy green vegetables, eggs, or oatmeal are a few examples of healthy foods older adults can include in their daily diet. Processed foods such as cheese, breakfast cereals, bacon, cakes, or biscuits might contain an unnecessary amount of fats and calories which can be harmful to older adults. Avoiding high-calorie foods can allow seniors to lose weight naturally and quickly. If older adults don’t eat vegetables or fruits, it is important for them to replace meat products with tofu, beans, or green vegetables. Substitute chocolate bars and chips for other types of snacks which are nutrient-rich and low in fats. If seniors are eating a cheeseburger or a Nutella sandwich, try eating a few bananas with it. Avoid sugary beverages like flavored coffees, soda, or soft drinks and drink tea instead which has low-calorie count. Seniors can be able to lose weight within a week if they drink water as the only beverage every single day. Besides exercise and diet, sleeping is also important in losing weight in the senior years. It can be difficult for some aging adults to eat less amount of food and exercise more. According to a recent study, sleeping for seven or more hours can be crucial for seniors if they wish to receive all the benefits of following a diet. Seniors who have insomnia or sleep deprived can be on the verge of obesity or other related problems. Many physicians recommend sleeping for 8 hours which can be necessary to stay fit, active, and also prevent weight gain. Daily exercise and eating a balanced diet might go to waste if seniors are sleeping for adequate hours every single night. Author Bio: A writer, fun and adventure loving person, Marina Torres works with Home Care Assistance Des Moines as a full-time content writer who loves to write about every possible thing that can make life enjoyable and this world a better place to live in. A hint of her personality can be found in her writing that how much she is passionate about her motives and career. Checkout & Read also: Companion Care: Is It The Right Senior Care For You?